Sabaton and World of Tanks teaming up is a natural business move as they both share the same target audience: fifteen year olds too young to drive who are obsessed with military hardware. World of Tanks is what kids who get bored of League of Legends anime clickfests graduate to when they can’t afford the new Call of Duty. Sabaton are what fifteen year olds who like eighties rock listening to after getting into finding out about Iron Maiden and wishing Maiden were a tamer, more emotional, and less metal as they love to sing along to Journey and Aerosmith on the local classic rock station. Perfect fit except for the fact that Sabaton sounds like German beer hall music more than heavy metal. That’s where the massive alcoholism present in the former Eastern Block comes into play. Drunk young Slavs listening to beer hall music while pretending to recreate the Battle of Kursk in their bedrooms. 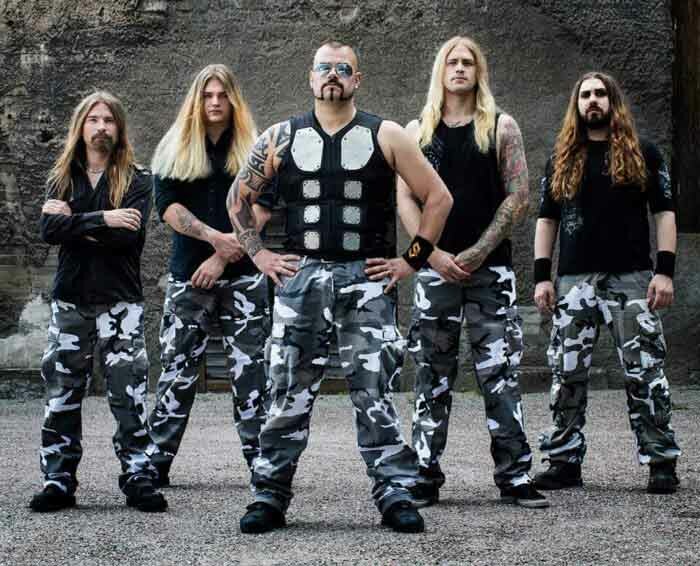 What’s with the Sabaton frontman’s facial hair and armored kevlar vest though? He looks like an older George Michael wearing pads for an imaginary sport he made up that only he knows the rules to. Extreme curling? At least Deicide wore hockey pads. posed photo, guys look too clean to ever get into the muck and strike knives into enemies, but am kind of jealous of the camoflage pants. gave away my pair years ago, figured it would stick out too much as i will only stay in cities and survive, as I already know farmers have always been ready for the hordes trying to escape and will shoot them all down. Those matching camo pants make them look totally militant and not queer at all.